Sometimes, it can be a drag educating friends and family about the toxic products they use. Sometimes, I feel like I sound like Debbie Downer always bearing bad news about how unhealthy our homes and lifestyles can be. Healthy Child Healthy World has a fun way to spread the word while educating those you love with their Healthy Home Party Toolkit. You can celebrate healthy ways instead of always beating the toxic drum! What’s a Healthy Home Party? Healthy Child Healthy World, LUNA, Klean Kanteen, and Earth Friendly Products share your passion for creating healthy environments for children. We want to help you raise awareness through community education. With the information provided in a Healthy Home Party Kit, you can educate and empower your family, friends, schools, and community to protect children’s health and development from common toxics. YOU can make a difference by inspiring others to take Easy Steps to create healthier living environments. Our Healthy Home Party Kit is available for a minimum tax deductible donation of ONLY $20, thanks to great sponsors such as: Klean Kanteen, LUNA, Earth Friendly Products, Organic Valley, Plum Organics and many more. What’s in the Healthy Home Party Kit? The Healthy Home Party Kit includes a ‘Wake-Up to 5 Easy Steps’ DVD, a 5 Easy Steps guide, one set of pocket guides, Healthy Child brochures and 5 Easy Steps flyer, ‘Creating Healthy Environments for Children’ fact sheet, 5 Easy Steps on ‘How to Host a Healthy Home Party’, and product samples and collateral from our sponsors. This is such a great way to not only support Healthy Child Healthy World, but to educate your friends and family in a fun way! Would I buy this product? Yes. $20 is a bargain for all of the samples and materials, besides it is more of a donation than a purchase anyways. 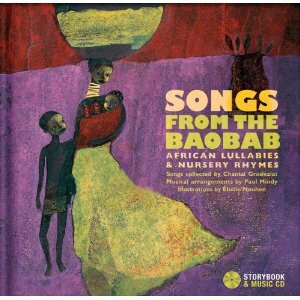 If you are looking for a sweet cd of multicultural lullabies and nursery rhymes, Songs from the Baobab: African Lullabies & Nursery Rhymes. Representing 11 languages from 10 countries in Central and West Africa, this is a musical collection the whole family can enjoy. The artwork in this book is truly beautiful, and I am endeared to the songs. I enjoy them for pure sound without needing meaning, and they create a nice atmosphere in the home when playing as background music. Unfortunately, I can’t find anything eco-friendly about this product. Would I buy this product? Yes. It would make a nice gift. 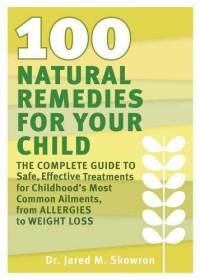 With a title like 100 Natural Remedies for Your Child: The Complete Guide to Safe, Effective Treatments for Childhood’s Most Common Ailments, from Allergies to Weight Loss, this sounds like a resource every green parent should own! Dr. Jared M. Skowron’s remedies largely involve supplements, homeopathy, and diet recommendations. The information is presented in a simple manner any parent can benefit from reading. Americans spend $34 billion dollars annually on alternative medical therapies and products. Not only are we seeking out natural remedies for ourselves—increasingly, we’re also looking for ways to cut down on the amount of medication given to our children. In 100 Natural Remedies for Your Child, pediatric naturopath Dr. Jared Skowron shows parents how to prevent and treat their children’s illnesses, from common ailments such as upset stomach, headaches, and minor infections to more serious problems like food allergies, diabetes, and asthma. While there is a time and place for conventional medicine, natural solutions, especially diet can be effective strategies for treating many of our children’s’ ailments. • FOODS THAT HEAL: Dietary change is the core lifestyle modification in naturopathic medical practice. Dr. Skowron shows parents the power of nutrition and reveals how foods can help prevent and treat disease. • TOXIC DETOX: From pesticides to plastics, natural medicine offers safe and proven methods for removing environmental toxins from our children’s bodies. • SUPPLEMENTATION: Parents will learn which supplements are helpful for alleviating symptoms or preventing illness and what dosages are safe and effective. Out of curiosity, I looked at Dr. Skowron’s recommendations for sore throats. His first recommendations is elderberry syrup, which I completely concur is very effective. He also discussed the appropriate time to add echinacea and astragalus, as well as myths about echinacea, which are rather pervasive considering the popularity of the herb. Garlic is also recommended, but in my experience hard for children to swallow. Dr. Skowron’s advice for strep throat is to use natural remedies in conjunction with antibiotics. He also recommends you test your child when well to see if he/she is a carrier of the strep bacteria if they repeatedly suffer. Some children host this bacteria “naturally”, and thus another virus or bacteria is actually to blame for the repeated infections. Would I buy this book? Yes. Have you ever flown on an airplane with a toddler? Did you ever give them crayons? Did they drop a crayon? I can answer yes to all of those questions, and the drama that can ensue when you can’t fit your hand down between to the seats to fetch the favorite blue crayon and have to abandon the beloved color. Crayon Bungee, Crayon Strap is a solution to fighting the effects of gravity on crayons. Tired of crawling on dirty floors to retrieve dropped crayons? Every parent knows that coloring is a favorite activity enjoyed by little ones inside and outside the home. The challenge? Oops, a crayon rolls off the coloring surface and onto the dirty floor. The creators of the award-winning Toy BungeeTM have the solution: Crayon Bungee; colorful, functional, portable, durable, and non-toxic. 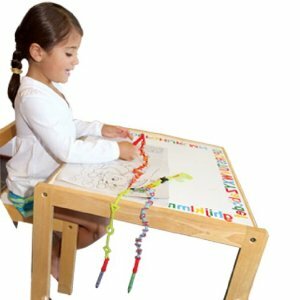 Designed to keep crayons from rolling or dropping to the floor, Crayon Bungee brings a new fun factor to coloring, while keeping the crayons nearby. Just twist in the crayons, and anchor the strap. Mom and dad love not having to crawl on the restaurant, airplane or other floor to retrieve a fallen crayon! FUNCTIONAL DESIGN: Two ways to anchor tether using either suction cup for table tops (works on smooth surfaces), or looping strap for other surfaces, such as a stroller bar, restaurant highchair, airplane tray table or carseat. Crayons twist into end tubes, fitting snugly and limiting removal by toddlers. Holds 3 standard crayons. NON-TOXIC & DURABLE: Our products comply with U.S. and European safety standards, and are BPA, lead, latex and phthalate free. SWAP OUT: Clasp feature allows altering between suction cup and strap anchors while keeping crayons attached to tether. Anchors also attach to Toy Bungee toy and cup tether. Crayon Bungee: the new generation of essential take-along companions is here. Would I buy this product? No. This is certainly not an essential must have, and the problem of dropping crayons is not one that I would spend $16 solving. It’s also not eco-friendly and packaged in what appears to PVC vinyl. It used to be there were not many green home cleaning products on the market other than [amazon_link id=”B001FA1NTG” target=”_blank” container=”” container_class=”” ]Seventh Generation[/amazon_link], but now consumers have many choices. One unique approach to green cleaning that goes beyond natural ingredients are concentrates you add water to, that way you are not paying for or contributing greenhouse gases from the transportation of heavy water. Planet People makes iQ The Smarter Cleaner, Glass Cleaner and iQ The Smarter Cleaner, All-Purpose Cleaner. The iQ cleaning system is a revolutionary approach to cleaning. The patented iQ REFill® (Reduced Environmental Footprint) reduces the plastic waste associated with traditional cleaners by 80 per cent by packing all the non-toxic cleaning concentrate into a small, recyclable cartridge. To make a bottle of cleaner, consumers just fill the re-usable iQ bottle with their own tap water and drop in the no mess REFill® cartridge. What I find unique about both of these products is the refill cartridge attaches to the sprayer tube through the bottle opening, thus leaving no residue for you to try and dissolve. The bottles state the products are non-toxic, and they do list ingredients, although some are rather ambiguous like “color”, “fragrance”, and “preservative”. Thus, I cannot comment as to how natural or safe these products truly are. The company’s website assures they use only “100% non-toxic and ecologically sustainable ingredients that pose no harm to users or the environment”. Planet People also makes Concrobium Mold Control and Mildew Preventatives & Removers. I’ve actually been using this product for over six months and do not find it effective in the shower. Would I buy these product? Maybe the iQ cleaners; however, if I want to be sure my household cleaners are truly natural, it is best to just use vinegar, lemon juice, baking soda, cream of tartar, etc. Disclosure: I was sent free samples of these products to review. No prior assurances were given as to whether the review be positive or negative. I noticed you mentioned cream of tartar as a cleaner. What/how do you use this to clean? I use it in the bathtub as a scrub or on glass ovenware to remove stains. Are you pregnant? Do you use a cell phone?